What Changes Could be Made to Massachusetts Alimony Law in 2019? Divorce attorney Jason V. Owens reviews proposals that would reduce alimony payments and eliminate “lifetime alimony” in Massachusetts. Many alimony attorneys view the Massachusetts Alimony Reform Act of 2011 (ARA) as a model alimony law for the rest of the country. Even admirers of the Bay State’s alimony law are seeking changes, however, as the loss of tax-deductible alimony undermines the mathematical framework on which the ARA was built. Under the ARA, alimony is presumptively capped at 30 to 35% of the difference between former spouses’ respective incomes. However, the 35% cap was based on the historically reliable assumption that alimony payments would always be tax deductible to the paying party. The Tax Cuts and Jobs Act (TCJA) of 2018 eliminated tax-deductible alimony for new divorces starting on January 1, 2019. Following a scramble in the final months of 2018 to enter agreements for alimony that preserve tax-deductibility, the new reality is setting in, and the math isn’t pretty. Kimberley J. Joyce, the chair for the MBA’s Family Law Section reportedly told the state’s House of Delegates that she couldn’t “think of any issue more pressing” than the need to reduce the ARA’s alimony cap in consideration of the loss of tax-deductibility. Bello reportedly told the MBA that without a change, individuals paying alimony under the 35% cap could end up with less than half of the available income following a divorce. Needless to say, this was exactly the situation that the ARA drafters were hoping to avoid. Even if the reductions suggested by Bello become law, Joyce notes, judges will still have the option to deviate from the presumptive cap and order increased alimony when necessary. Notably, Massachusetts will continue to let new divorcees deduct alimony on their state income tax returns. However, where state income taxes are dwarfed by federal taxes paid to the IRS, the continuing deductibility of alimony on Massachusetts tax returns will provide scant relief. Although Lawyers Weekly noted that “there is no reason to suspect that the Legislature will resist a fix” on Beacon Hill, statehouse watchers are wary of the fact that the legislature routinely fail to pass bill that enjoy broad support. Other elements of the TCJA affecting Massachusetts family law cases involves the replacement of child dependency exemptions with child tax credits which are only fully available to parents for children under 17 years old. Meanwhile, attempts to close that other gaping loophole in the ARA – the continuation of so-called “lifetime alimony” for divorces entered before 2012 – continues in 2019 despite facing legislative defeat at the hands of State Senator William Brownsberger (D-Middlesex), who notoriously derided the bill as “chaff” in last year’s session. Advocates for closing the lifetime alimony loophole have long-dubbed their efforts the Alimony Re-Reform Act (ARRA). This fall, alimony reform leader Stephen Hitner re-launched efforts to pass a bill that would make ARA provisions requiring the termination of most alimony orders when payors reach federal retirement age applicable to pre-2012 divorces. As it stands today, there is no mechanism for terminating alimony for pre-2012 divorces when the paying party reaches retirement. Last session, H 740, (H 3088), was approved unanimously by the House. When the Bill got to the Senate, it was killed by Senator Will Brownsberger, on August 9, 2018, who referred to the Bill as "Chaff". While it is not understood why the Bill was not allowed a vote in the Senate in 2018, our goal is to hit the ball out of the park in 2019. Multiple bills seeking to eliminate the “lifetime alimony” loophole have been filed in the Massachusetts House and Senate, including House Bill HD.1304 brought by Sheila C. Harrington (R-Middlesex), House Bill HD.2365 brought by Bradley H. Jones, Jr. (R-Middlesex), and Senate Bill SD.1308 brought by Sen. Paul R. Feeney (D-Bristol and Norfolk). Similar bills in recent years have been resisted by key Democrats in the state Senate, including Brownsberger and Sen. Cynthia Stone Creem (D-Middlesex and Norfolk). As it stands, the three bills have a combined 21 co-sponsors. Whether this will be enough to get the bill past Brownsberger – whose affection for outdated state laws is well documented – remains to be seen. 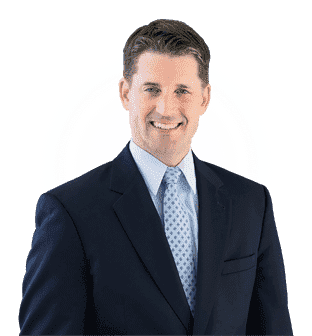 About the Author: Jason V. Owens is a Massachusetts divorce lawyer and Cape Cod family law attorney for Lynch & Owens, located in Hingham, Massachusetts and East Sandwich, Massachusetts.